If you’re in your 20’s or 30’s, you may not be thinking as far ahead as the next five or ten years, let alone planning for retirement. There’s probably no need to have rigorous saving plans in place for when you give up work, but it’s always beneficial to look to the future when it comes to your finances. Even if you’re young and carefree, there are lots of things you can do now to improve your financial future. You may assume that budgeting is for world leaders and treasurers, but it can actually be incredibly beneficial for everyone. It’s very easy to lose track of what you’ve spent over the course of a week or a month, and this can lead you to think that you’ve got more money than you actually have. 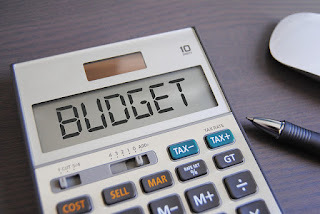 Budgeting is a simple means of noting down what you spend. It can help to prevent overspending and enable you to save more. You can use traditional techniques or go for something more modern like a spreadsheet or a budgeting app. Once you’ve done your budget for the month, don’t forget to adjust it as you go, so that it’s always accurate. Everybody has a credit rating. Your rating, also known as a credit score, is a number, which is used to assess the level of risk you present to a lender. If you have a high score, you’ll be more likely to be able to borrow money, and you may also benefit from lower rates. You can often take advantage of lower interest rates on car loans with good credit, for example. If your score is low, this makes it harder to borrow money. Even if you are offered a loan or a mortgage, the interest rates are likely to be higher. If you don’t know your credit score, you can find it out online. If your rating is low, don’t panic. You can improve it by using your account more frequently, paying off loans and credit cards and making sure you don’t miss any rent or mortgage payments. You may think that you don’t need savings at the moment, but life has a habit of throwing us curveballs, and it’s always useful to have a nest-egg. Would you able to manage if you had to take a long time off work or you lost your job out of the blue? Even if you don’t have to break into your emergency fund, you could use the money to buy a house, pay for renovations, car repairs or luxury items like holidays. When you’re young, it can seem like the days when you need substantial savings pots are far away, but time flies. Weeks turn into months and before you know it, years have gone by, and you still haven’t put anything in that pension pot or set up that direct debit to your savings account. By all means, have fun, but try and plan ahead too.